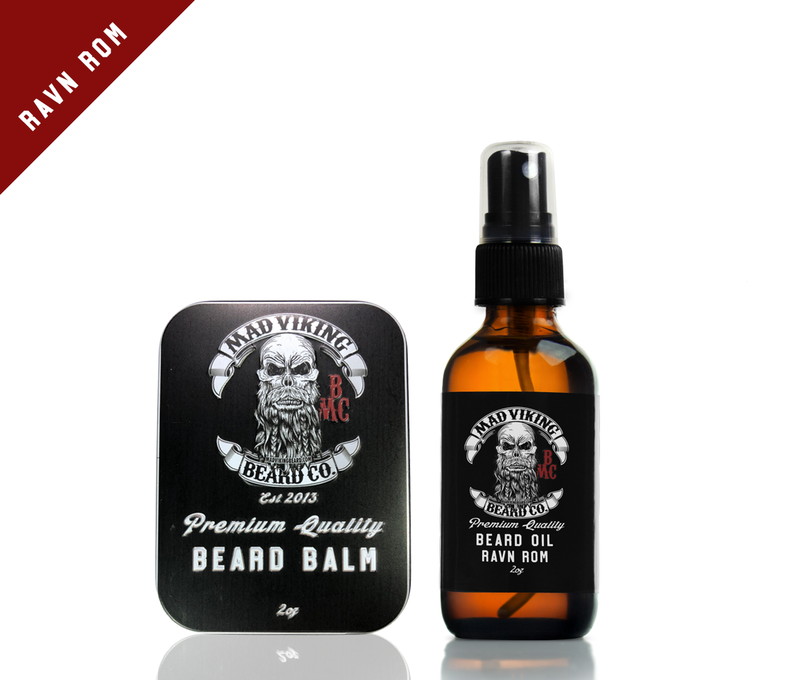 Ravn Rom Beard Oil & Balm Combo 2oz - Mad Viking Beard Co.
[Raven-rum]: According to Norse mythology, Huginn and Muninn are a pair of ravens that scour the Norse world Midgard in flight and bring information to the god Odin. 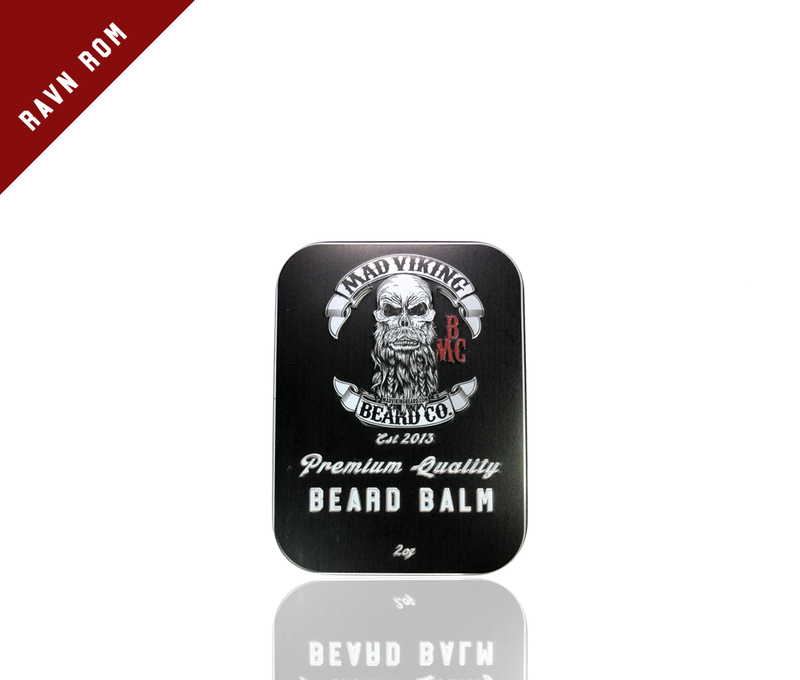 This time they have returned with something important, Ravn Rom Beard Blend! 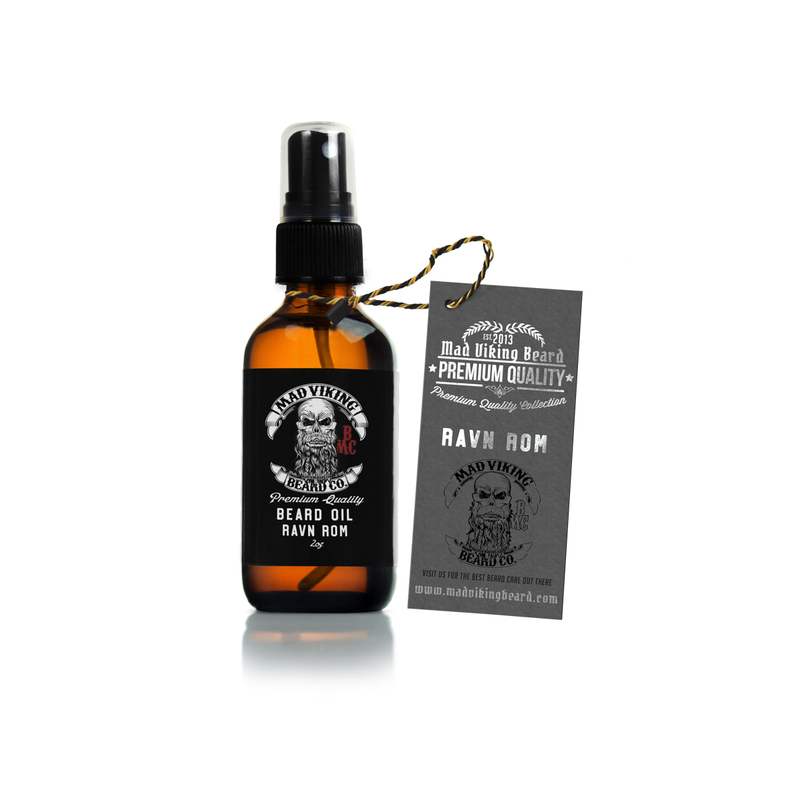 Ravn Rom is scented using a unique blend of various bay essentials with very small amounts of Bergamot and Lime, which provide a classic old school barbershop scent. You’ll smell clean and fresh all day and into the longest nights. Ravn Rom Beard Blend smells so good that Odin himself has taken notice! Get a beard wash when you order a starter pack!